It is Time to Enter April’s Bumper Sticker Drawing for a Chance to Win $200! Thank you to everyone who entered our March Bumper Sticker Contest! Lisa from Pontoon Beach took home the $200 prize this time! Submissions for April’s drawing are now being accepted. Continue reading to learn how you can enter! Who Will Win January’s Bumper Sticker Drawing? Could It Be You? We Have Been Selected as One of the Best Places to Work in IL! Announcements Tiger Plumbing, Heating, Air Conditioning & Electrical Services was just voted one of the Best Places to Work in Illinois for 2016. This award program began in 2006 and is promoted by The Daily Herald Business Ledger in partnership with the Human Resources Management Association of Chicago (HRMAC), the Illinois Chamber of Commerce, MRA-Th e Management Association, the Small Business Advocacy Council, the Greater Oak Brook Chamber of Commerce and Best Companies Group. This statewide survey and awards program was designed to identify, recognize and honor the best places of employment in Illinois, benefiting the state’s economy, workforce and businesses. Companies from across the state entered the two-part process to determine the Best Places to Work in Illinois. The first part consisted of evaluating each nominated company’s workplace policies, practices and demographics. This part of the process was worth approximately 24% of the total evaluation. The second part consisted of an employee survey to measure the employee experience; which was worth approximately 75% of the total evaluation. The combined scores determined the top companies and the final ranking. Best Companies Group managed the overall registration and survey process in Illinois and also analyzed the data and used their expertise to determine the final rankings. Tiger Plumbing, Heating, Air Conditioning & Electrical Services will be recognized and honored at the Best Places to Work in Illinois awards ceremony coordinated by The Daily Herald Business Ledger on May 26 and will be profiled in a special publication on June 27. The final rankings will be announced at the event and announced on the Business Ledger website (www.dhbusinessledger.com). And the best part about Tiger Plumbing, Heating, Air Conditioning & Electrical Services winning this award is that we are hiring! That is right; you could work for one of the Best Places to Work in Illinois. Just click here to view and apply for one of our opened positions. July 29th is International Tiger Day, which was created to bring worldwide attention to the plight of the world’s wild tigers. The goal of International Tiger Day is to bring awareness and build support for tige r conservation and habitat protection efforts. 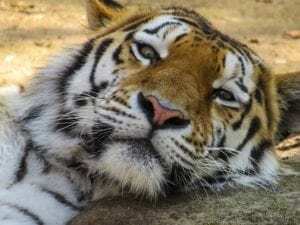 The world’s tigers need you! 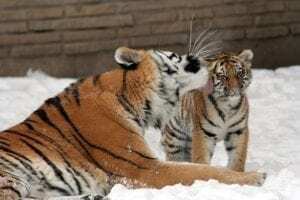 Tigers are the world’s largest living cat species and as of today, tigers can only be found in South/Southeast Asia, China, and the Far East in Russia. This is a much smaller habitat than tigers are used too. Historically, tigers have spread throughout Turkey, South/Southeast Asia and throughout the eastern shores of Asia. At the beginning of 1900’s, there were an estimated 100,000 tigers living in the wild. In 2013 there were around 3,274 living in the wild, versus the 3,000 estimated to be living in the wild today. In fact, there are currently more tigers living in captivity than there are in the wild. Sadly, we’ve seen the extinction of three different tiger species in the past 1 00 years. 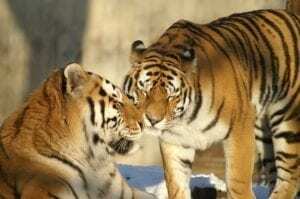 The Bali Tiger went extinct in 1937 and the Caspian and Javan Tigers have both been extinct since the 70’s. The remaining tiger species will soon join them in extinction if action is not taken now. Click here to #Tweet about #Tiger Day. And #Retweet! Or, you can go to worldwildlife.org and make a small donation and “adopt” a tiger or support habitat protection.